You will be charmed by the Giraffe Baby Bedding Collection, highlighting an original Marian Mendez baby giraffe design. The whimsical print is quilted and perfectly paired with an alphabet matelasse’, blue and cream striped cotton and trimmed in ribbon and lace to create this delightful bedding group. 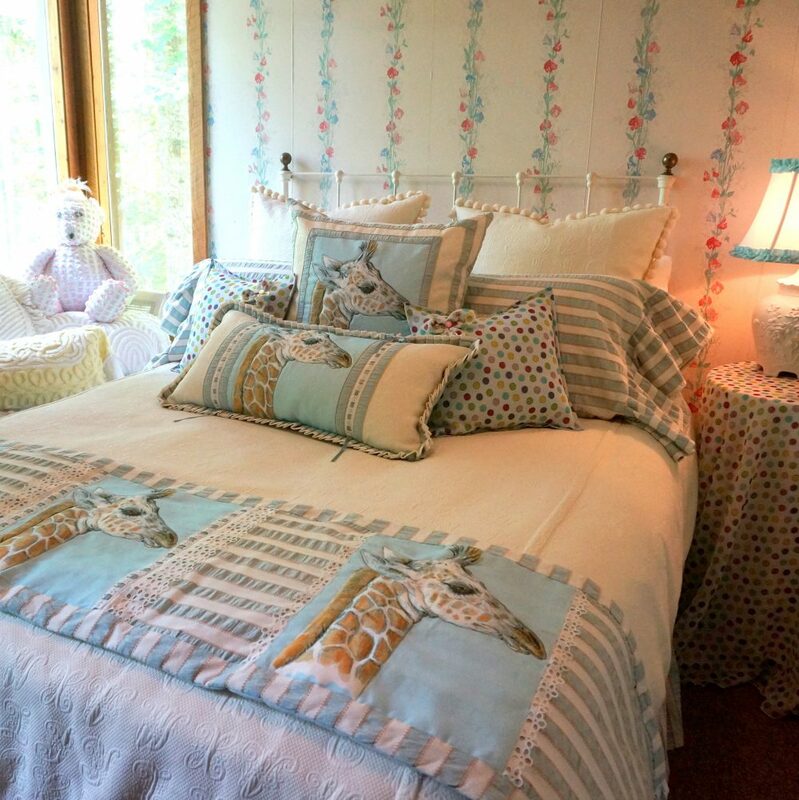 As with all our bedding Giraffe Baby was designed and constructed by West Virginia artisans.